These adult moths have brown forewings, each with a vague dark spot near the middle. 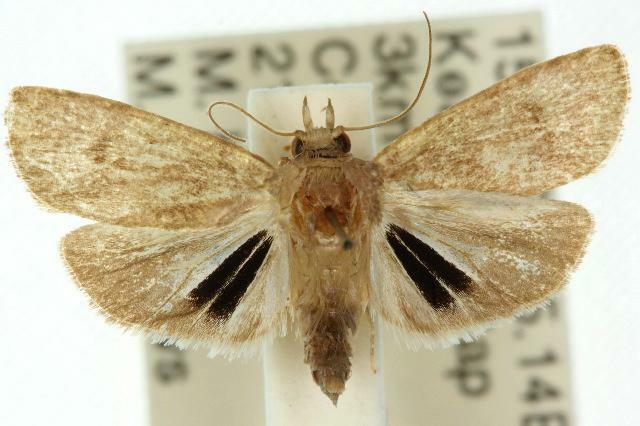 The hindwings are brown with a prominent pair of black stripes. The wingspan is about 2 cms. Volume 2 (1918), p. 192. Volume 38 (1913), pp. 206-207.